So much energy and time goes into complaining about the state of affairs in South Africa. The state is in the process of being de-captured, slowly, the economy recovering from recession, hopefully, and the nation emerging from the “legacies of apartheid”, painstakingly. Well one would hope so. That is precisely the point – when all else fails, we still have hope. But hope on it’s own cannot feed grant recipients if the state fails them, cannot employ the youth if the business sector falters and there is a point at which a debilitating hopelessness will set in. So we need to fix the country, and do so fast. This week FNB released their statistics on emigration-related home selling and indicated that from a low of 2% of total selling, the emigration motive has risen to 7.8% of total selling by the second quarter of 2018. That is worrying. Not so much because a few anxious families are moving to Australia, but because it is an indicator of a more generalised malaise. South Africans are beginning to wonder if the ship can be steadied. Has South Africa blown it’s chances as a nation? Will the world give up on us? 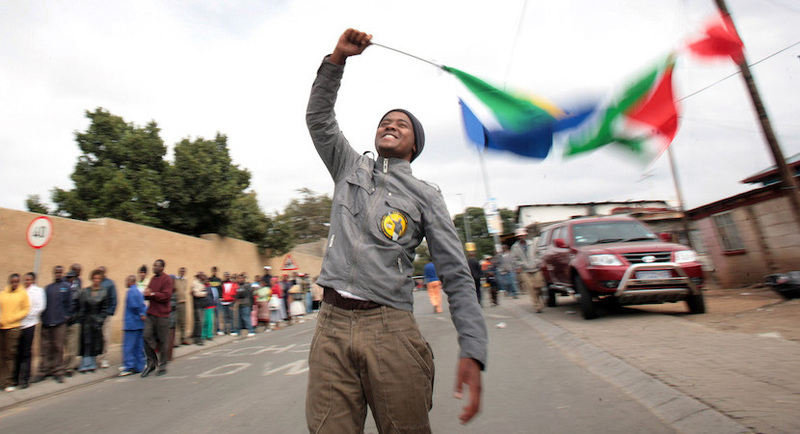 Instead of lamenting the national decay as one is tempted to do, let us consider what is would take to fix South Africa, and do so very very quickly – before it is in fact too late. To fix the country we might want to begin by looking at what does work in SA, and do more of it. South Africa is the jewel of Africa, not because we have natural resources. Central African Republic and Burundi also have natural resources, but the last time I checked there were men with machine guns patrolling their capital cities and making the rules. The reason South Africa is a rich middle income African nation is simply that we have a private sector full of companies that can turn inputs into outputs through value creation of various kinds. They use sophisticated processes and systems such as mainframe computers, omni-channel distribution networks, highly skilled knowledge workers and innovative products and business models to do so. Of course the private sector does not create direct benefits for all South Africans, especially not the 11 million unemployed of working age, but via tax revenues and household incomes it is still the golden goose that lays the social support eggs. The question South Africans should be asking, is how do we do more of what the incredible private sector does? The answer to this question has policy implications, implications for regulators and should muzzle or at least discipline the radical fringe in the labour movement and political class. Put simply, we need more of what the private sector does, and fast! Love them or hate them, the media is the nervous system that moves critical information from the various corners of the body politic of this country to the foreground. They get our attention and tell us what is going on. The media told us about Mandela’s release, they told us of Chris Hani’s assassination, of the highpoints of Rugby World Cup magic and the low point of the tragedies that took from us Brenda Fassie, Lundi Tyamara and Hugh Masekela. Zapiro’s All Behind Us. 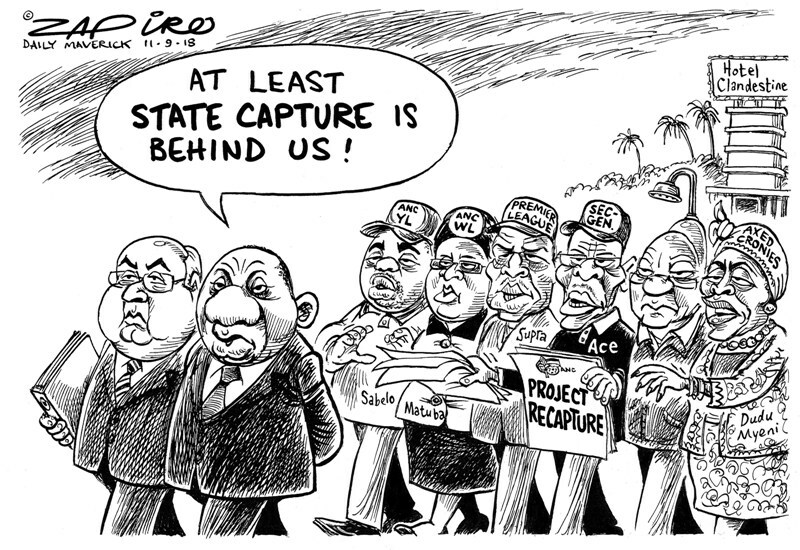 More of his brilliant work available at www.zapiro.com. We depend on the media to form an opinion about the goings on in parliament, the country, and especially the boardrooms of the likes of Steinhoff, KPMG, SARS and the backrooms of Saxonwold or the beachfront hotels of former President Jacob Zuma’s home province. Sometimes the media gets it wrong. Sometimes the media is downright biased and myopic. But the media works. Without them Chris Hani may have disappeared without explanation, as many others did. Without a free press publishing the Guptaleaks, “state capture” may have remained a rumour and the likes of Dudu Myeni and Brian Molefe would still be flying high on our hard-earned taxes while ANN7 (or should I say AfroWorldview), doctor public opinion with tall tales of Bell Pottinger’s While Monopoly Capital narrative. South Africa’s media is a saving grace and we should celebrate them. We should finance them and we should see to it that there is more of them doing good work, our democracy depends on it. Nowhere else in Africa you’ll find a court system that can bring into it’s benches the likes of Nelson Mandela, Jacob Zuma, Julius Malema and treat them with due process right alongside Oscar Pistorius and Mark Warona Zinde. Our courts have held the line when parliament failed to hold the former president to account. We should be proud of that. Unfortunately, the courts can only act on cases brought before them and the debilitating effects of Zuma’s sheepish shenanigans at the National Prosecuting Authority, with the appointment of Shaun Abrahams, and at the Hawks, meant that for the last decade the justice system has been weakening. We should push back against that and create more of what works – independent, well capacitated institutions that hold the line on the rule of law. South Africa, if we are to be a country of laws and not of men arbitrarily abusing their power, will have to do more of what works in the Constitutional Courts and the many other courtrooms across the country. Let me not spend too much time on the state owned enterprises for fear of losing faith altogether. Admittedly, they are broken and bleeding cash. In a sense they are now perpetually on social grants, being bailed out by the state on an annual basis. Think of it this way – if SAA receives its required R5-billion bailout and it then transports 6,8 million passengers, as they reported in 2017, that equates to a subsidy of a R735.29 subsidy per flight. Or put another way, as a social grant, another 566 666 actual poor citizens could have been given R735.29 per month, for an entire year. The SOEs can work, but they need to be pushed back to profitability, good governance and commonsense. We will need electricity, industrial transportation, air travel etc., but we don’t need them run by cronies, and used as personal piggy banks for incompetent political fat cats. Restructure them. Sell parts of them. Rationalise them. Reposition them strategically. That’s what we need, and we need it done quickly. The other thing that works in South Africa is the people. I find it nonsensical when bigoted and privileged dinosaurs opine that, “the poor don’t want to work”. As if a life of idle indignity and frustration is preferred over one of usefulness and productivity. The fact is that this country’s current wealth was amassed at the hands of massive effort, often poorly rewarded. South Africa is a productive people who need opportunities to use their energy for a purpose other than to protest and complain. Imagine if every youngster under the age of 25 could put in an honest day’s work as their mothers and fathers did, often under tough conditions for menial pay, but diligently. Imagine the impact on the national mood if our people, instead of staring at passing cars at the traffic light hoping for a handout, could stand in a budding farmland, on a buzzing factory floor or immerse themselves in the unlimited expanse of the digital world – creating value for someone and themselves. This should be a question on all our minds – how can we build on the good work South Africans do and do more of it? The last thing that works is the electoral system. Who would have thought just five years ago that the mighty ANC would be working with the EFF to oust the DA mayor of Nelson Mandela Bay? It’s messy, but the electoral process works, at national, provincial and local level. This is something we should be proud of as South Africans. It is also something we should take very seriously. Imagine putting a R100 note into a vending machine and closing your eyes before selecting the item you want? Imagine treating it as a guessing game or expecting the machine to give you a product by happenstance. That would be idiotic, not so? Well, that is what we do when we vote without engaging our brains in the process and thinking long and hard about the outcome of our vote. Our vote is a payment – we spend our power in exchange for representation, for good or bad. My own view is that the system works, but we have not sufficiently worked the system to ensure that our politicians are accountable. We should do that, and make sure no politician ever imagines themselves to be above the will of the people. South Africa is not a lost cause, it is a worthy cause. We only have to look at what works and do much much more if it. 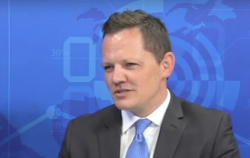 Marius Oosthuizen is a member of faculty and scenario planner at the Gordon Institute of Business Science, University of Pretoria. He writes in his personal capacity.